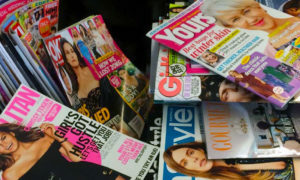 Magazine Networks’ Brooke Hemphill takes a look at the events approach of magazine publishers. Don’t be fooled by the glitz and glamour of major events such as this week’s Prix de Marie Claire or the TV Week Logies. Events are serious business for magazine publishers building on masthead brands as well as those of advertising partners. “We run upwards of 80 events throughout the year, which means that we execute one live experience roughly every three days,” said Cate Gazal, senior events manager at Bauer Media. From the aforementioned TV Week Logie Awards to fashion and beauty events including The Elle Inspires series and Harper’s Bazaar at work, the events Gazal conceives and stages vary in terms of scale and scope. Bespoke advertiser-led events such as Elle and H&M’s Ladylike collaboration are also part of her remit. Gazal heads up a team of activation specialists who oversee Bauer’s national events program. “We’re a very small team and we don’t outsource to agencies. 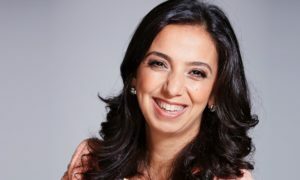 We plan, execute and deliver all events in-house, which is unique,” Gazal said noting the only event that calls on an agency is the TV Week Logies. Pacific Magazines, on the other hand, takes a different approach to running events. While the publisher does not have a dedicated events team, that doesn’t stop them from hosting some of the most extravagant events on the Australian calendar. This week has seen the fashion industry’s most hotly anticipated event unfold, the Prix de Marie Claire. Susie Hogan, marketing director for fashion and beauty at Pacific Magazines, has overseen the event since its launch in 2005. Held every two years, the fashion and beauty awards are unparalleled in spectacle. “All I can say to sum up Prix de Marie Claire is always expect the unexpected. That is what this event is all about,” she said. The event caters to 200 of the Australian fashion and beauty industry’s elite, easily one of the most difficult audiences to wow. To create a uniquely dazzling experience, Hogan and Jackie Frank, general manager of fashion, beauty and health at Pacific Magazines, start by thinking about what has never been done before. “We work out what that is and then we work out how to do it,” said Hogan. In the past, this has included a Parisian courtyard with walls the size of out-of-home billboards that collapsed around the guests. Tuesday’s event raised the bar even further with a 65-metre long mirrored dining table sat atop a luxurious blush pink carpet with 20 gigantic chandeliers suspended above. The “fashion moment” of the event saw a model perched on a crystal piano revealed before a total of 40 models came into view. A laser light show then commenced and the entire roof moved creating a pendulum effect for the chandeliers which swayed in time to the music. And the dazzle doesn’t stop there. The event partners at the Prix de Marie Claire also go all out. Luxury car brand Lexus returned as the presenting partner this year with integration elements including support of the Next Generation Award which recognises emerging talent. This has seen Lexus support the finalists’ journey over the past three months as marie claire shared the story through a series of videos amplified across the brand’s network. In its quest to be the fashion industry’s airline of choice, Virgin Australia stole the show at the conclusion of this year’s event by presenting each guest with a personalised luggage tag and a Virgin Australia gold card. The gold card entitles each attendee to Virgin lounge access both here and abroad as well as priority check-in and other perks such as excess baggage, essential for fashion industry travellers. “We had everyone in the fashion industry including all the leading fashion designers and CEOs of the biggest fashion houses, both locally and internationally. It was a very influential room and it allowed Virgin to show its support of the industry and to say how proud and committed it is to be supporting Australian fashion,” says Hogan. Another brand supporting fashion through magazine-led events is American Express with the announcement this week of the renewal of its naming rights partnership with Vogue Fashion’s Night Out, to be held in Melbourne and Sydney on September 1 and 7. The partnership sees American Express delivering exclusive offers and benefits that connect consumers with retail merchant partners. This will be the eighth year the event has been held in Sydney, the third in Melbourne, and is expected to attract 190,000 people. While these are perfect examples of brands working with events that spring from the existing magazine brands, Australia’s three publishing houses are also adept at creating advertiser-led experiences. One such example is the Gourmet Traveller Harvey Norman Institute, a monthly series of in-store events and demonstrations featuring top Australian chefs. Most recently Paul Carmichael from Momofuku Seiobo delivered a two-and-a-half hour demonstration of his favourite recipes for an audience of engaged Bauer Media readers. Another example is InStyle Shops, a fashion event aligned with the marketing objectives of Sydney’s Macquarie Centre. Part of a broader campaign, InStyle Shops taps into digital, print and culminates with a celebration of Australian Fashion at shopping destination Macquarie Centre. The last event attracted more than 850 guests and another is scheduled for September. This diverse range of examples demonstrates that far from riding on the coattails of top magazine brands, Australia’s major publishers and advertisers are investing heavily in live experiences with each reaping the rewards.